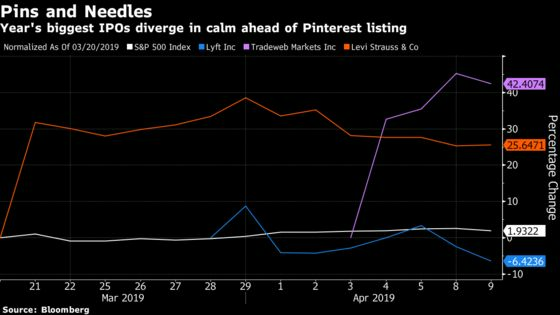 (Bloomberg) -- Pinterest Inc., one of this year’s more notable initial public offering “unicorns,” got its first bullish review from Wall Street Tuesday. Atlantic Equities analyst James Cordwell started covering the online company -- known for its inspiration boards -- with an overweight rating and a 12-month price target of $23. That implies Pinterest may return as much as 53 percent if the IPO prices at the low end of its expected range -- set yesterday at $15 to $17. Pinterest should speed up and return to double-digit growth starting in the second quarter after Google & Facebook-driven disruption caused a slowdown last year, Cordwell predicts. He expects the San Francisco-based company will duplicate its U.S. success overseas. Pinterest has room to narrow the gap in ad revenue per daily active user, which still trails Twitter.com by 20 percent, as well as on revenue per average user in the U.S. and abroad, Cordwell said in a note to clients. Pinterest’s sales should reach $1.1 billion this year, up from $765 million in 2018, Cordwell estimates. He expects the technology company could be profitable on an adjusted, non-GAAP basis this year, and on the basis of generally accepted accounting principles by 2021.